Melbourne is classed as one of the most expensive cities in Australia, however there are PLENTY of ways to visit without breaking the bank. From all other cities in Australia, you can fly quite cheaply with Jetstar or Tiger Airways for around $50-80 one way. It is also cheaper if you don’t check in luggage. There are also buses from both Adelaide and Sydney which cost around $80 and take 12 hours or so, so you’re better off flying, unless there are places you want to see in between. Stay in the CBD; it is easy to get around (the main streets are like a grid) and is where all the famous and secret bars are. 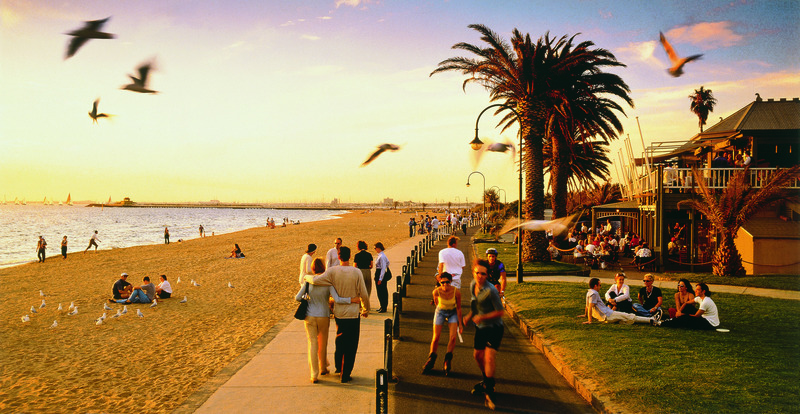 Another popular area to stay is St Kilda, the city’s closest beach. 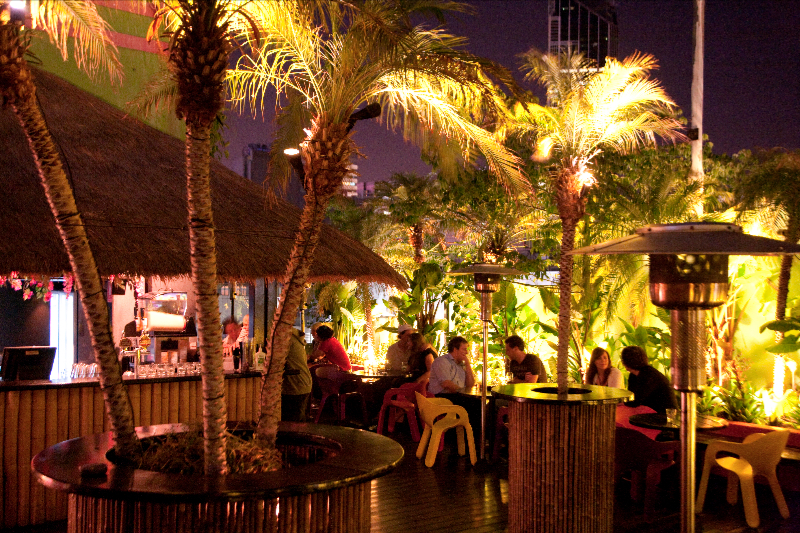 This area thrives with travelers on working holiday visas and has an awesome hostel bar vibe. ‘That’s Melbourne’ provides maps of several self-guided walking tours, each with a different theme at http://www.thatsmelbourne.com.au/visitors/WalksItineraries/Walks/Pages/Walks.aspx. These are a fantastic idea for people who don’t like tours but want to see the most of the city. 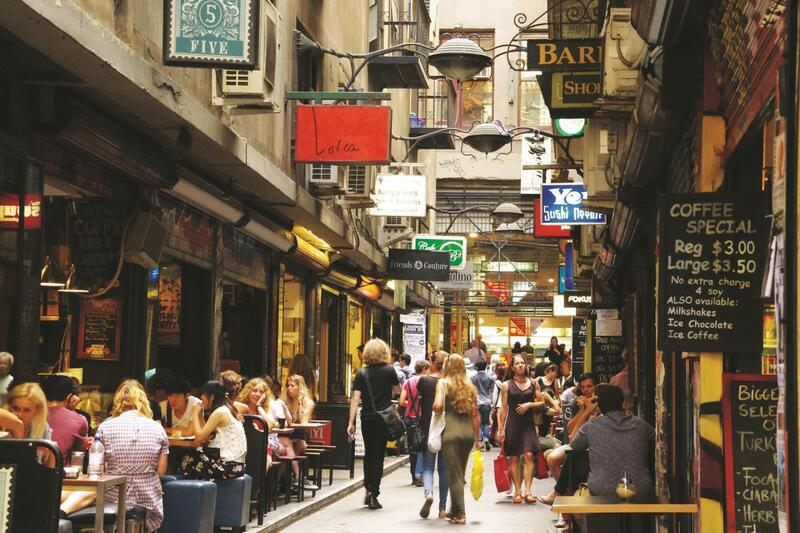 They cover pretty much everything, my favourite being the alleyways and arcades tour which take you to the hidden café and graffiti filled laneways that make Melbourne so famous. There are also many companies that run laneway and other city tours with a guide who can share with you local insight and stories. This is the biggest market in Melbourne and specializes in EVERYTHING. Go on a weekend morning and experience the mayhem and beauty of hot jam donuts, every piece of clothing and knick knack imaginable and all sorts of fresh produce. This is free! (Until you buy something). During the summer months the market opens on a Wednesday night and has several stages of live music, street performers, and hundreds of food and alcohol stores. 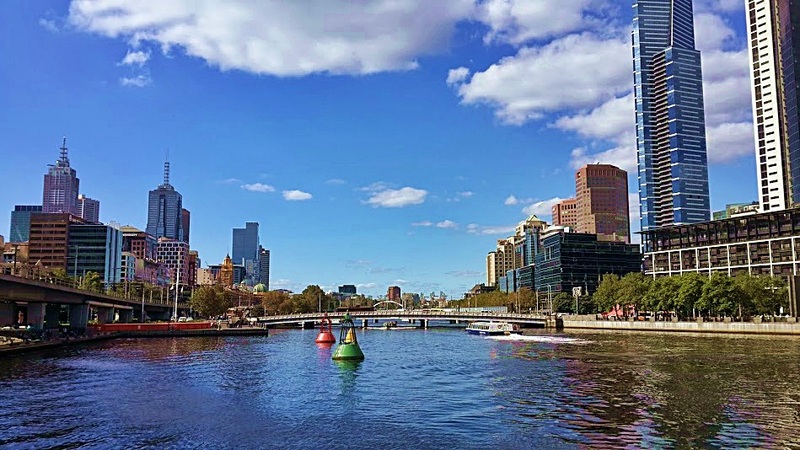 This is the beautiful Yarra river stretch and there are many bars and restaurants on the waterfront, boasting a stunning view of the skyline reflected in the water. These are often pricey dining options as they are nearby the casino, so I usually eat somewhere cheap beforehand and walk up and down the river. There are countless street performers and musicians along here that are always entertaining. 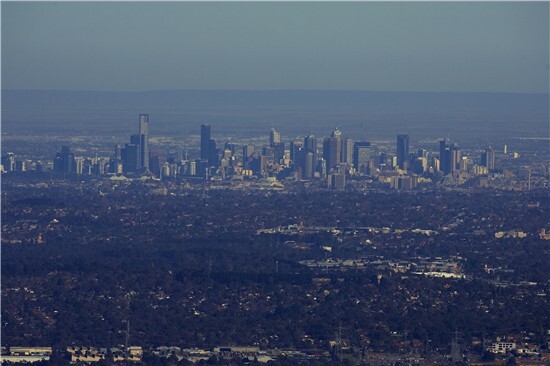 There is a FREE amazing viewpoint that has become secretly famous in Melbourne. Go to the Sofitel Hotel in Collins Street, go up to Level 35 to the lounge and go to the toilets. The walls of the bathroom are glass and boast a famous view of the whole city. There are plenty of people who go up here to pretend to use the toilets and take photos, so don’t worry! 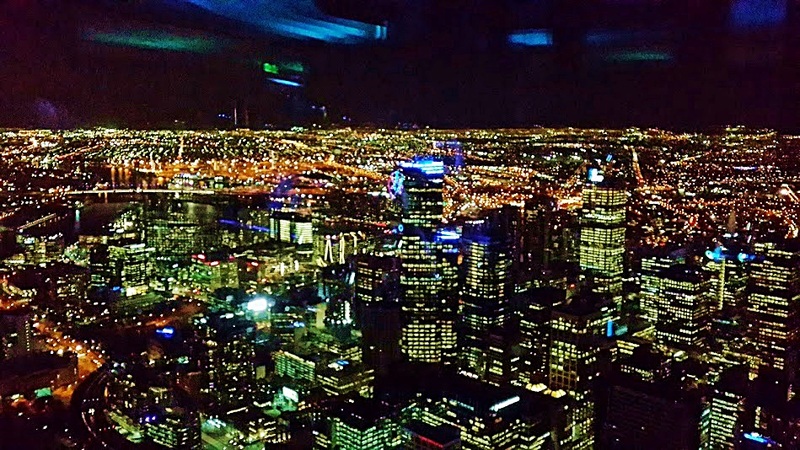 However if you want to fork out some money for a slightly broader and better view, go to the Eureka Skydeck. 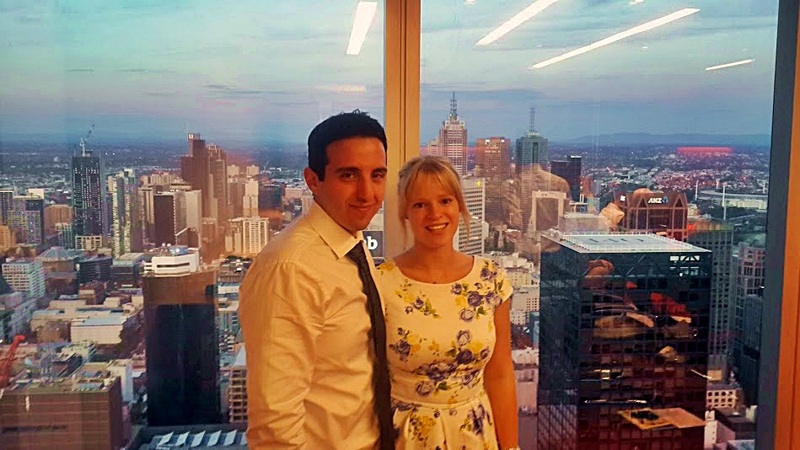 This is where you zoom up 88 flights in the tallest building in Melbourne and are exposed to panoramic views of the city and its surrounds. Tickets are $15 for students and you can also buy a ‘sun and stars’ ticket which is ideal if you’re in the city for the whole day, as you can visit both during the day and at night to get the full effect of the city’s lights. The most impressive and beautiful things to see are in fact outside of Melbourne, including beaches, mountains and road trips. So rent yourselves a car and explore away! 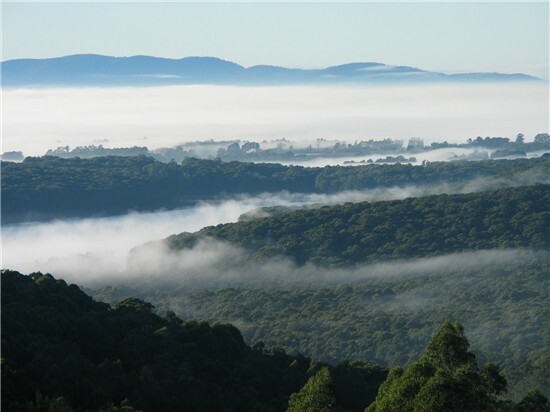 About a 45 minute drive from the city is this mystical mountain range encompassing several little villages of Sassafras, Olinda and Mt Dandenong. Spend a day sampling local food in the mains streets, adventuring through rainforest walks and taking in spectacular views of Melbourne. Spend a night at one of the gorgeous family run B&Bs for under $100 (I would recommend a Loft in the Mill where I’ve stayed before) and dine at Sky High restaurant. This place is absolutely fantastic and you will feel spoilt rotten with views (and the food isn’t that expensive, about $20-$25 a meal). If you are staying in a B&B nearby to the restaurant they will offer you a free limousine service to and from the restaurant! 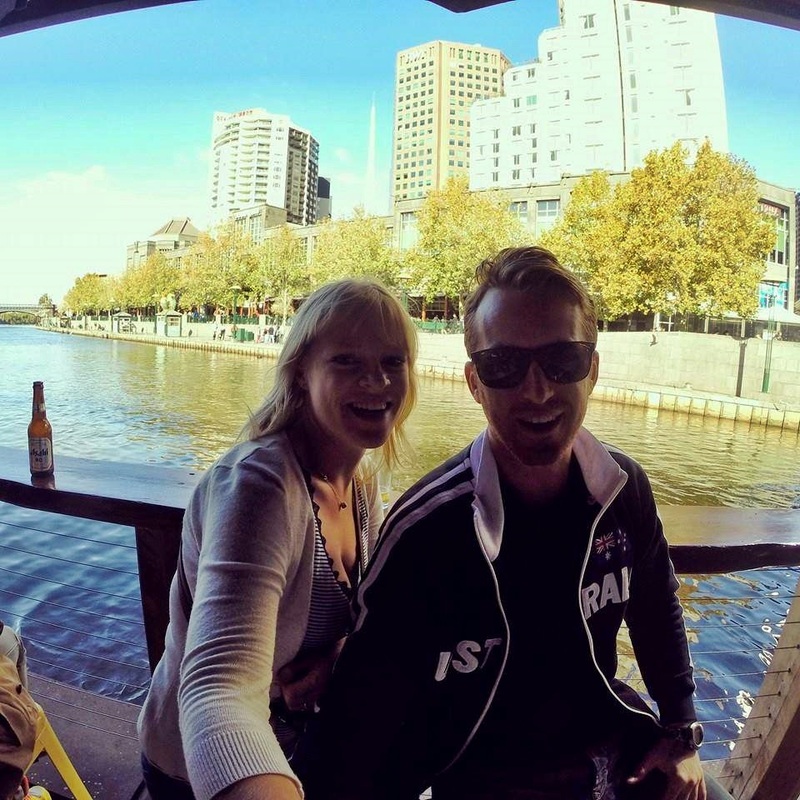 This is the most famous (and well deserved) road trip of Melbourne. It covers about 200km of coastal drive and countless beach towns along the way. Check out my post about the Great Ocean Road and all the amazing things you will see at https://bigadventuresonabudget.com/2014/05/22/great-ocean-roadtrip-for-just-60-a-day/. Along the Peninsula East of Melbourne are a string of beautiful beach towns all the way to Sorrento, just like the West down the Great Ocean Road. 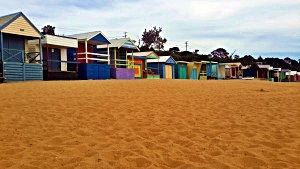 However there is one that is my favourite; Mt Martha beach. This has spectacular golden sand and colourful beach huts along the sand. Then if you drive just 5minutes past the beach, park next to the abandoned shed on the side of the road and find the man made path through the bushes, you will see the most amazing coastline view looking all the way to Melbourne CBD skyline. 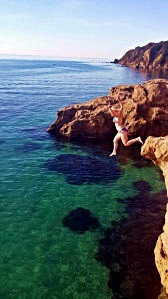 Here are several flat cliffs that descend to the turquoise water, perfect for cliff jumping. They range from 1.5m to about 7m and there are no rocks below you so it is safe! 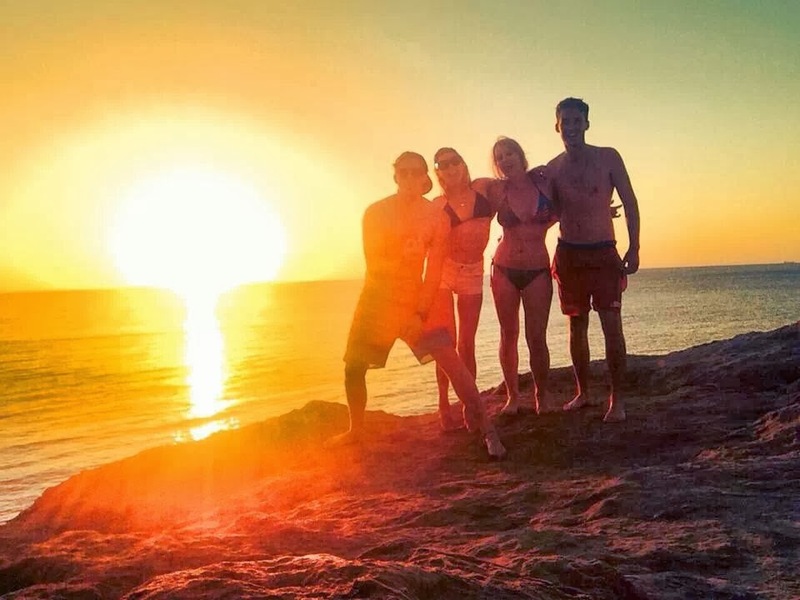 This is perfect around 3pm when you get the afternoon golden sun with mates and some tunes. Past Mt Martha about 15 minutes is the Peninsula Hot Springs. 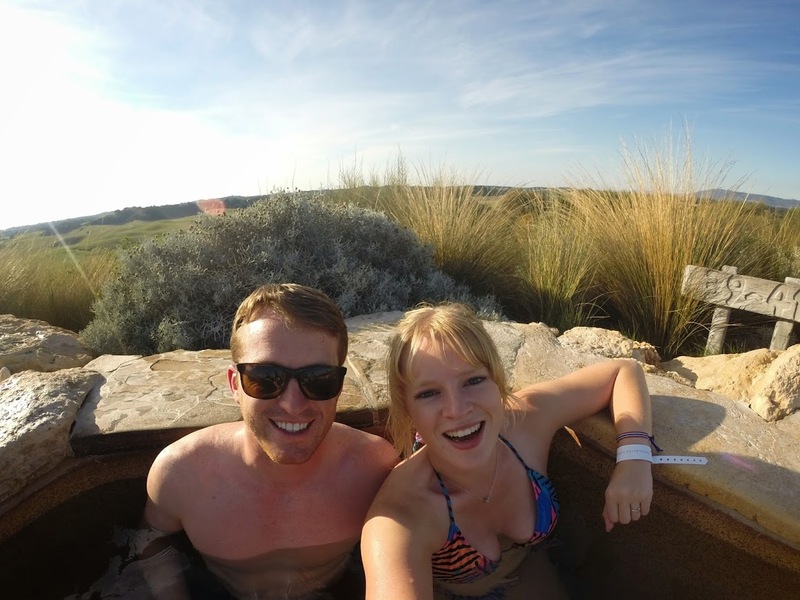 It is about $25 to enter, but you will be literally soaking in hot bath water in the middle of the outback- it is unreal!! Most of Melbourne’s best venues in the CBD are hidden in laneways and you have to know about them. My favourite hidden bar is Bar Americano in Presgrave Place, a mix between an Italian espresso bar and American cocktail bar. Its staff are personable to the next degree, and the cocktail selection is pages and page long. It fits about 15 people inside and feels like you’re stepping into another world! For a taste of Melbourne’s secret hidden bars, go to State of Grace on Collins St. Head to the back of the bar to the bookshelf and if you can figure out which book to tug forward a secret door will open, revealing a pumping after work venue. 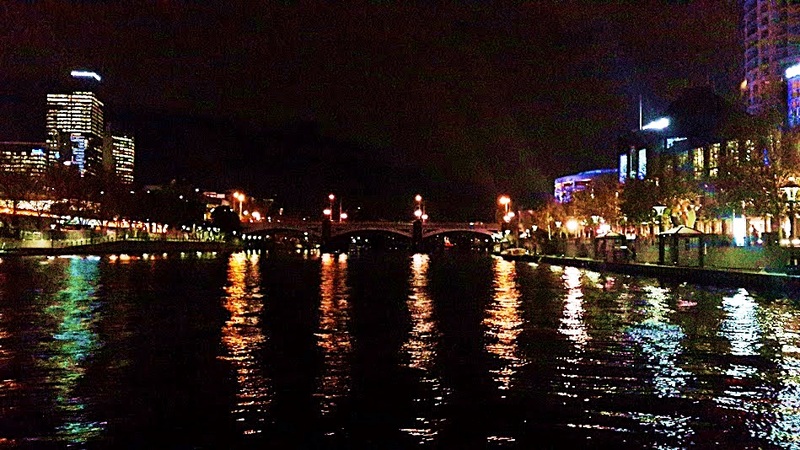 If you want a good view of Southbank and the skyline, go to Ponyfish. It is hidden literally under the bridge that goes across the Yarra river and brews its own beer and cider (which is amazing). This is where you want to be for sunset. Another great bar is Asian Beer Cafe, located in Melbourne Central you wouldn’t expect such a cool place to be in a shopping centre. It has $1 sparkling for girls on Thursdays and has a great large balcony overlooking the city. If you want an after work crowd, head to Fathers Office on Swanston Street. This place is filled with vintage furniture and has $5 pints most of the night, every night. For rooftop bars, head to either the Carlton Club which looks like a tropical paradise on a roof with several levels, or Rooftop Bar, which is the top level of Cookie building and has a moonlight cinema in the summer months. If you want a late night boogie, go to either Boney or New Guernica. These have a more chilled out vibe to many of the huge commercial nightclubs in the city and attract an awesome local crowd. Outside the CBD, head to Chapel Street in South Yarra. This is a strip of bars, clubs and late night restaurants for kilometres. You get every genre of night out here, from quiet drink at the pub, to retro outdoor bars, to bangers in nightclubs, to 8am sessions. 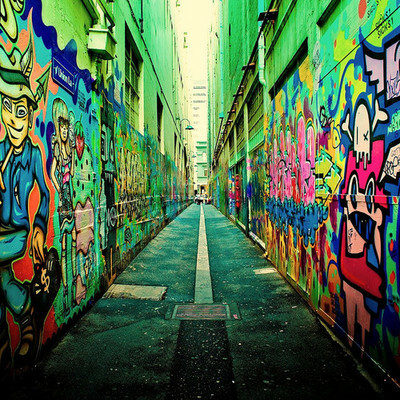 So what are you waiting for, go and explore what Melbourne has to offer! 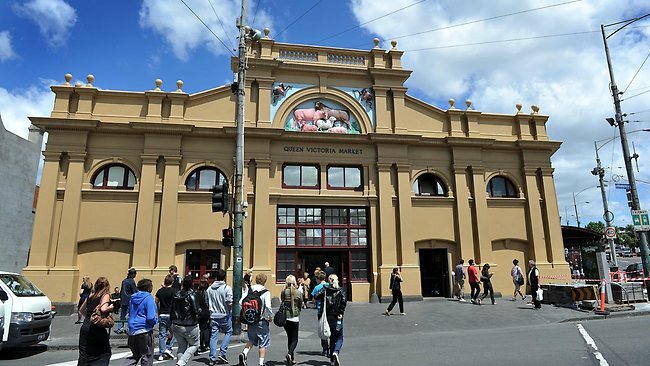 For more information, check out Lonely Planet’s Melbourne and Australia guide by clicking below. 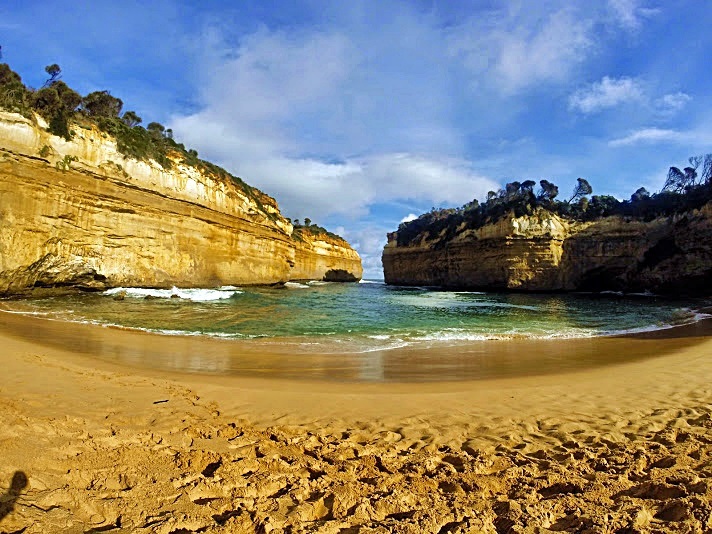 This entry was posted in Australia, Victoria and tagged adventure, beaches, Great Ocean Road, Melbourne. Bookmark the permalink. The bar located in Melbourne Central is actually called Asian beer cafe – formerly known as Cho Gao. Other than that very comprehensive guide, keep up the good work! Thanks for the correction- I got my names muddled up! I love Asian Beer Cafe!